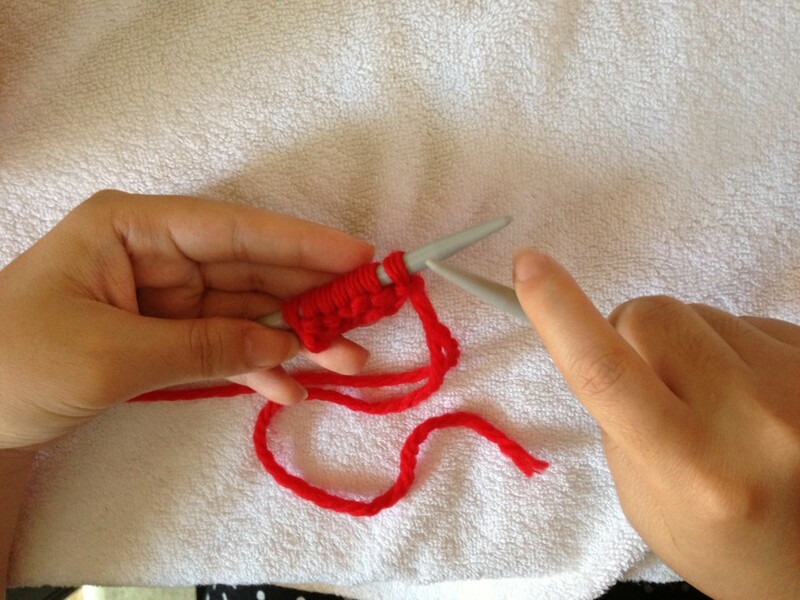 Video Tutorials: Learn How to Knit, Single / Backwards Loop Cast On. It’s been a while since I post beginner tips on the site. I have three knitting projects ongoing that I really want to share next, but they are not finished yet. Well, since I can’t, I thought posting these videos might be useful for anyone who wish to learn how to knit 🙂 (and hopefully.. just hopefully it can keep you all entertained while I am finishing up my next knitting patterns post). Well if that’s not working, I just hope reading this post will at least put a smile on your face. After you successfully tie a slip knot and cast on, it’s time to begin knitting (wohoo here comes the fun part)! So what do you do from here? 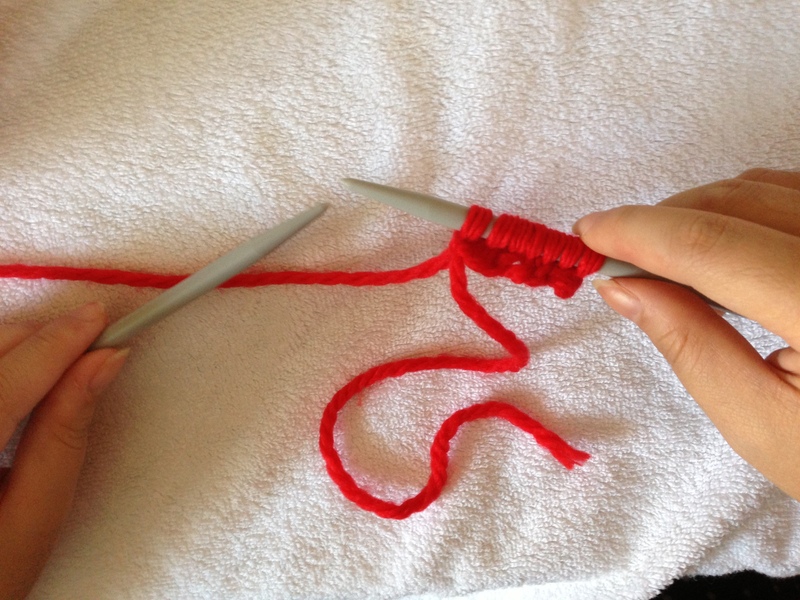 To knit a basic beginner scarf, first you cast on as many stitches you want. This will be the width of your scarf. Then, all you have to do is knit until the end of the row. Well how do you when you have reach the end? Easy, it’s when all your stitches have been transferred from your left needles to the right needles. This is what it looks like when you have finished knitting a whole row. All stitches are on your right hand needle. So when there is no more stitch remaining on your left needle, simply hold your right needles (the one with all the stitches) on your left hand, grab your other needle and begin knitting again! This is what it looks like when you have knitted a few more rows. I have only cast on 7 as a quick example. But if you are making a scarf, do cast on a lot more to increase the width of the scarf. 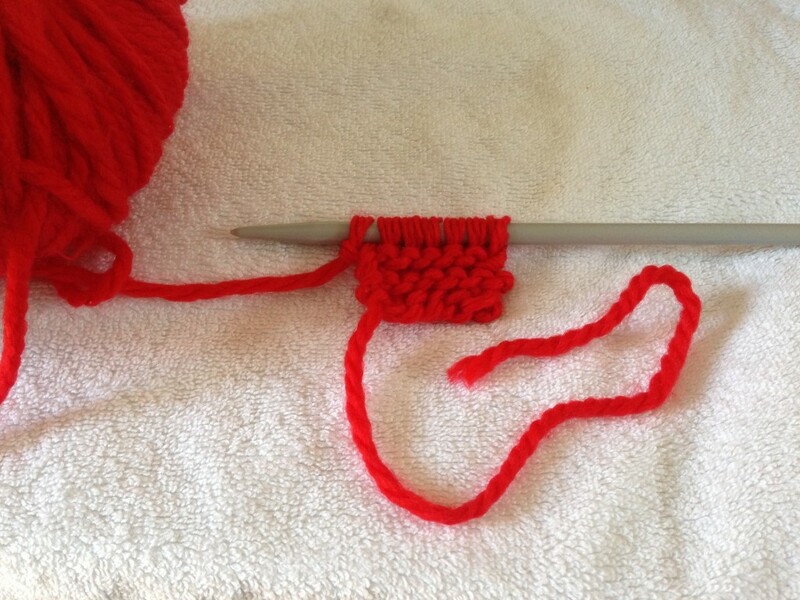 Simply keep knitting to increase the length of the scarf. I hope this tutorials help you a little bit more. 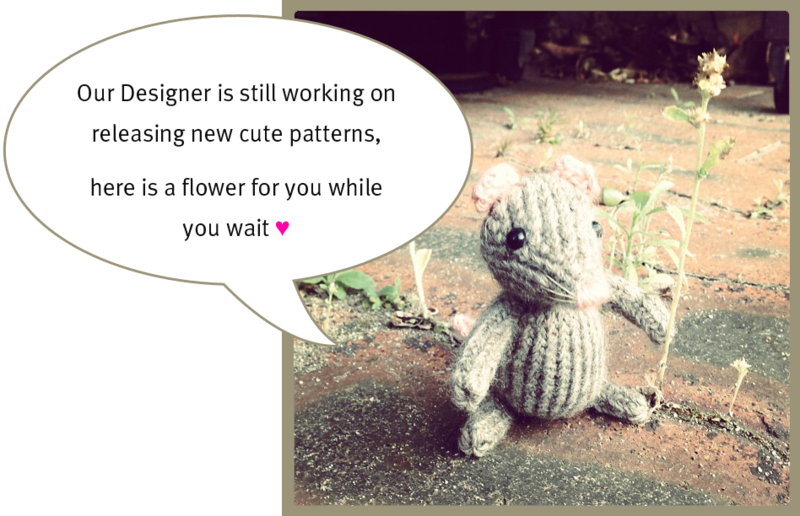 Welcome to knitting! easy knitting patterns, free knitting patterns, knitting tips, learn how to knit tutorials, straight needles, very easy knitting patterns. Bookmark.